PROJECTS & NEWS — W.H. Kassner, Inc. SORRY FOR THE RADIO SILENCE, BUT ELLIE HAS BEEN BUSY OVER HERE GROWING AND BIRTHING WHK’S 4TH GENERATION: MEET ZENZI! (PRONOUNCED ZEN-ZEE : IT’S SOUTH AFRICAN.) HE DOES A LOT OF SLEEPING ON THE JOB, BUT BOY DOES HE MOTIVATE THE REST OF THE TEAM. HE JOINED THE WORLD ON NOVEMBER 26TH AND HAS BEEN ENJOYING MANY FIRSTS. 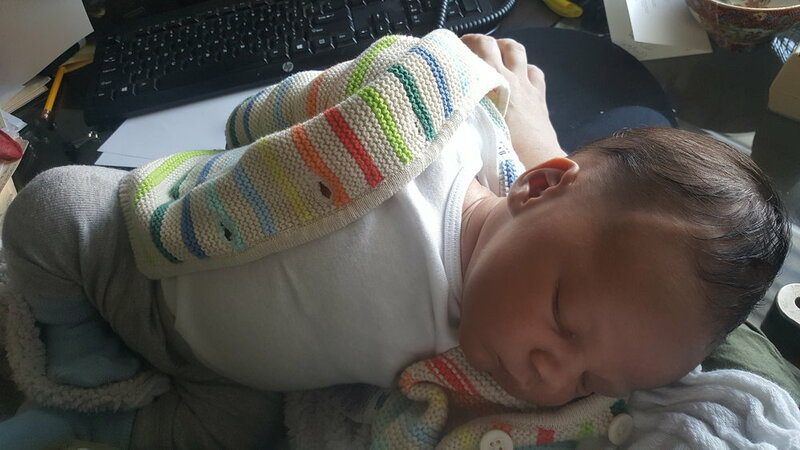 IN OTHER WHK RELATED TRIVIA, HIS MIDDLE NAME IS WOLFGANG, AFTER OUR COMPANY’S FOUNDER. HE GENERALLY COMES TO THE OFFICE IN THE AFTERNOONS, SO SWING BY IF YOU WANT TO MEET HIM! IT PROBABLY DOESN'T TAKE TOO LONG KNOWING US TO KNOW THAT WE'RE A BUNCH OF OUTDOORS PERSONS AND ENVIRONMENTALISTS OVER HERE AT W.H. KASSNER, INC. WHAT'S MORE IS THAT WE REALLY WEAR OUR HEART ON OUR SLEEVES AND PUT OUR MONEY WHERE OUR MOUTH IS WHEN IT COMES TO APPRECIATING OUT ENVIRONMENT. FOR EXAMPLE, YOU CAN'T MISS OUR 9 KW SOLAR ARRAY SYSTEM ON TOP OF THE SHOP. FOREMAN, DINK STALTER, SPENDS MORE TIME IN THE WOODS OF HARRIMAN PARK THAN ANYONE WE KNOW AND KNOWS IT LIKE THE BACK OF HIS HAND. ERIC AND ELLIE ARE CONSTANTLY TAKING OUT THEIR LITTLE SAILBOAT THE DWERG (ACCESSIBLE VIA THE S.S. NOODLE) ON THE HUDSON RIVER. DIRK RIDES HIS MOTORCYCLE THROUGH THE PARK REGULARLY. JUST THOUGHT WE'D SHARE THAT WE LOVE WHERE WE LIVE AND WORK, MORE THAN JUST SUSTAINING OUR 50+ YEAR OLD BUSINESS! EVER FEEL LIKE YOU'RE SWIMMING IN ALPHABET SOUP WHEN WORKING ON PUBLIC WORKS PROJECTS?! US TOO. BUT IF THERE'S ONE YOU REALLY NEED TO GET TO KNOW IT'S REDC PTAC. THE ROCKLAND ECONOMIC DEVELOPMENT CORPORATION HOUSES THE AREA'S PROCUREMENT TECHNICAL ASSISTANCE CENTER, WHICH SPECIALIZES IN OFFERING SMALL BUSINESSES FREE RESOURCES TO PURSUE GOVERNMENT CONTRACTING VIA COUNSELING, NETWORKING AND SO MUCH MORE. THERE IS NO BETTER TEAM TO TURN TO. CHECK OUT THEIR LATEST PROMO WITH A CAMEO FROM OUR VERY OWN, ELLIE KASSNER! WE'RE FEELING A LITTLE SMALL TOWN FAMOUS OVER HERE WITH THE RECENT ARTICLE ABOUT W.H. KASSNER, INC. OUT IN THE JOURNAL NEWS! LAST WEEK, WHK PRESIDENT ELLIE KASSNER ATTENDED ROCKLAND P.L.U.S. (PLANNING LAND USE WITH STUDENTS) AS AN INVITED MENTOR. SUPPORTED BY KEEP ROCKLAND BEAUTIFUL, CORNELL COOPERATIVE EXTENSION, SUEZ, ST. THOMAS AQUINAS COLLEGE AND MANY MORE, THE PROGRAM BRINGS TOGETHER HIGH SCHOOL STUDENTS FROM SCHOOLS THROUGHOUT THE COUNTY TO BRAINSTORM IDEAS OF WHAT TO DO WITH OPEN LAND IN THEIR COMMUNITIES. WORKING WITH A TEAM FROM NORTH ROCKLAND HIGH SCHOOL (RAIDER PRIDE! ), THE TEAM OF STUDENT'S ELLIE WORKED WITH FOCUSED ON TEVA LABS FORMER CAMPUS ON QUAKER ROAD. WHAT WAS EVEN MORE AMAZING, WAS THAT WHILE THE STUDENTS HADN'T BEEN ABLE TO VISIT THE SITE, ELLIE WAS ABLE TO GIVE THEM INSIGHT AFTER WORKING ON THE SITE FOR OVER A DECADE. OF THE EXPERIENCE, ELLIE SAID "STUDENTS ARE THE FUTURE - AND THE FUTURE CAN START AS SOON AS WE MOVE OUT OF THE WAY AND START INCORPORATING EVERYONE'S VOICES INTO OUR COMMUNITIES. THAT INCLUDES PLANNING. THIS IS EXACTLY THE TYPE OF PROGRAM OUR WORLD NEEDS AND IT WAS AMAZING TO SEE THESE STUDENTS RISE TO THE CHALLENGE!" LIKE WE SAID... SO COOL. A FEW YEARS AGO (MAYBE 15?! ), WE WERE INVOLVED WITH A PROJECT AT THE STONY POINT CENTER, AN MULTIFAITH RETREAT CENTER, RIGHT HERE IN OUR HOMETOWN, BUILDING A BEAUTIFUL, OPEN MEDITATION SPACE. LAST WEEK, FORMER OWNER ERIC KASSNER MET WITH CAD & ARCHITECTURE PROFESSOR KHADER HUMIED OF ROCKLAND COMMUNITY COLLEGE AND HIS CURRENT CLASS TO LOOK AT THE SPACE AND DISCUSS SOME OF THE DESIGN ELEMENTS. ERIC MENTIONED THAT ABOUT HALF OF THE ARCHITECTURE STUDENTS APPROACHED THEIR UNDERSTANDING OF THE SPACE FROM A MORE ARTISTICALLY INFORMED MENTALITY WHILE THE OTHER HALF OF STUDENTS TOOK A MORE MATHEMATIC ROUTE. IT'S GREAT TO REFLECT (OR SHOULD WE SAY MEDITATE?) ON A PAST PROJECT THAT HAS TOUCHED THE LIVES OF MANY, BUT IT'S ALSO GREAT TO GIVE BACK TO THE NEXT GENERATION OF BUILDERS! WINTER IS HERE, AND TAPPAN ZEE CONSTRUCTORS HAS IMPLEMENTED WESTCHESTER LANDING SHUTDOWNS FOR A FEW WEEKS UNTIL THE WEATHER MELLOWS OUT. THAT GIVES US A CHANCE TO UPDATE EVERYONE ON THE PROJECT! IT'S BEEN SUCH AN HONOR AND AN AMAZING PRIVILEGE TO WORK ON SUCH A HISTORIC PROJECT THAT IS SO NEAR AND DEAR TO OUR HOMES AND HEARTS. OUR WORK ON THE PERMANENT MAINTENANCE FACILITY HAS MADE BIG LEAPS, AND ABOUT HALF OF OUR FABRICATIONS HAVE BEEN INSTALLED. AFTER THE WEATHER STAY, WE WILL BE INSTALLING STAIR 1 AND THE REST OF OUR PROJECT SCOPE. OUR WORK ON THE STATE POLICE FACILITY IS ALSO COMING ALONG. WE'RE ABOUT TO FINISH UP WITH SUBMITTALS AND WILL BE HITTING THE GROUND RUNNING AS SOON AS THE SITE OPENS BACK UP! 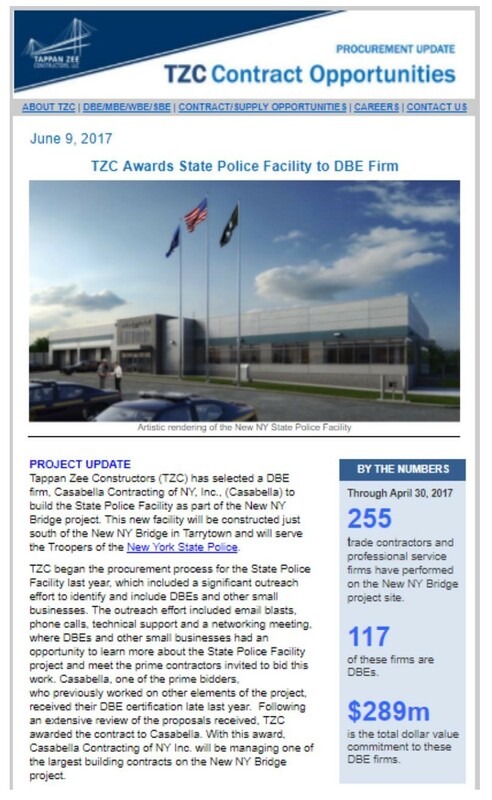 CHECK OUT THE ARTICLES LINKED ABOVE FOR THE ARTICLES WRITTEN DIRECTLY BY TAPPAN ZEE CONSTRUCTORS THEMSELVES! HER BIG IDEA AIRS TONIGHT AT 8:30 ON NEW YORK CITY MEDIA, FEATURING OUR VERY OWN ELLIE KASSNER. WE FIGURED THAT WE'D COMPLIMENT THE EPISODE BY SHARING SOME "BEHIND THE SCENES" DETAILS ON THE FILMING AND THE OTHER WOMEN FEATURED ON THE EPISODE. THE NYC MEDIA TEAM FILMED THE SEGMENT IN JUNE 2017. THE BAR STOOLS WE'RE SITTING ON DURING THE INTERVIEW PORTION WERE MADE FOR ELLIE KASSNER BY SHOP CO-FOREMAN, LOREN STALTER. WE HEADED OVER TO OUR FAVORITE BREWERY, INDUSTRIAL ARTS BREWING COMPANY, TO SHOW OFF SOME OF OUR FINEST PLATFORMING WORK. AT INDUSTRIAL ARTS BREWING CO. IT CAME OUT THAT NONE OF THE FILMING CREW DRINKS BEER! HERE AT WHK, WE CAN'T EVEN IMAGINE THAT KIND OF WORK ENVIRONMENT. MALENE BARNETT AND ELLIE KASSNER HAVE SAT ON MANY PANELS TOGETHER INCLUDING EMPOWERING WOMEN ENTREPRENEURS IN NEW YORK CITY AT THE BROOKLYN HISTORICAL SOCIETY AND LEVELING THE PAYING FIELD AT THE UNITED NATIONS IN NEW YORK CITY (PHOTO BELOW). ELLIE PERSONALLY HAS A RUG AND WALL COVERING OF MALENE B'S IN HER HOME. LEITH HILL OF ELLARY'S GREENS HOSTED A MENTOR GET TOGETHER LAST MONTH WHERE ELLIE AND LEITH HIT IT OFF! AT THE MIXER LEITH SERVED ELLIE'S FAVORITE SINFUL DISH : BRUSSEL SPROUTS AND BACON WITH BALSAMIC GLAZE. DIVINE! WELP, IF THAT'S NOT SOME INSIDER TRADING THEN WE DON'T KNOW WHAT IS. ENJOY THE SHOW AND THANKS FOR YOUR SUPPORT OF W.H. KASSNER, INC. WE'RE SURE FIRST GENERATION OWNER, WOLFGANG HUGO KASSNER, COULDN'T HAVE IMAGINED THAT HIS GRANDDAUGHTER WOULD BE RUNNING THE BUSINESS OR ATTRACTING SPECIAL ATTENTION, BUT WE DO KNOW THAT HE'D BE SO PROUD. 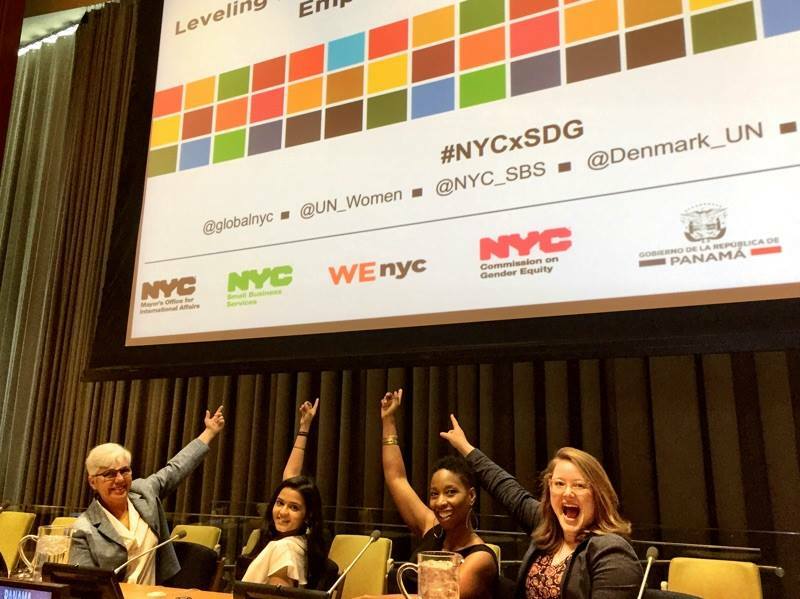 ELLIE KASSNER AND FELLOW WENYC MENTORS MALENE BARNETT, DEEPTI SHARMA AND CHRISTINE RICO AT THE UNITED NATIONS IN NEW YORK CITY CONTRIBUTING TO LEVELING THE PAYING FIELD A PANEL DISCUSSION HOSTED BY THE COUNTRIES OF DENMARK AND PANAMA. ELLIE AND MALENE ON SOME WENYC PRINTED PRESS. JUST BY COMING TO OUR WEBSITE, YOU MUST KNOW THAT WE'RE MULTIGENERATION AROUND HERE AT WHK. WE'RE PRETTY PROUD OF THAT. 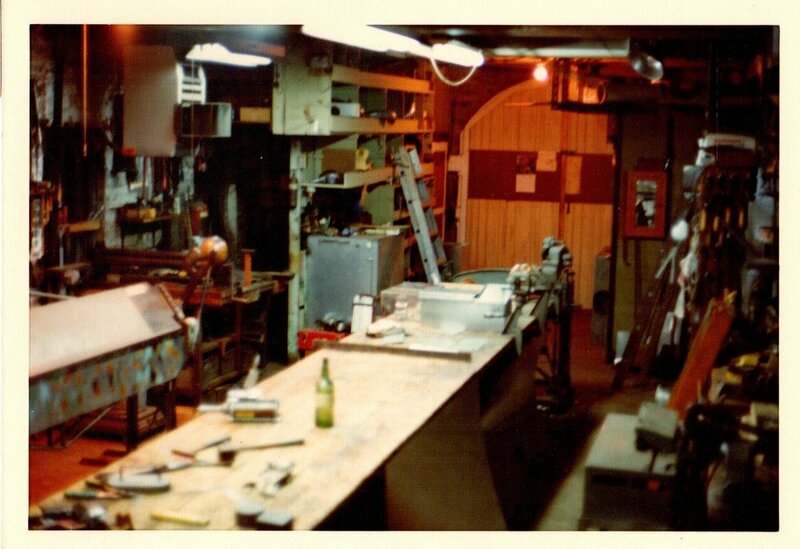 BUT, ONE THING YOU MIGHT NOT KNOW, IS THAT OWNERS AND OPERATORS, TWIN SIBLINGS ELLIE AND DIRK KASSNER, INHERITED METALWORK FROM BOTH SIDES OF THEIR GENETICS POOL! THEIR MOTHER, AVIS KASSNER, WAS FORMERLY AVIS WOLFING, DAUGHTER OF ALBERT WOLFING WHO OWNED HAVERSTRAW SHEET METAL. FOUNDED IN THE 192Os BY HIS GRANDFATHER EMIL, ALBERT WAS A SECOND GENERATION TIN KNOCKER. HE SPECIALIZED IN FABRICATING CUSTOM COMMERCIAL SHEET METAL APPLICATIONS INCLUDING BY NOT LIMITED TO : OSHA GUARDS, DUCT WORK BACK SPLASHES AND COPPER ROOFS. 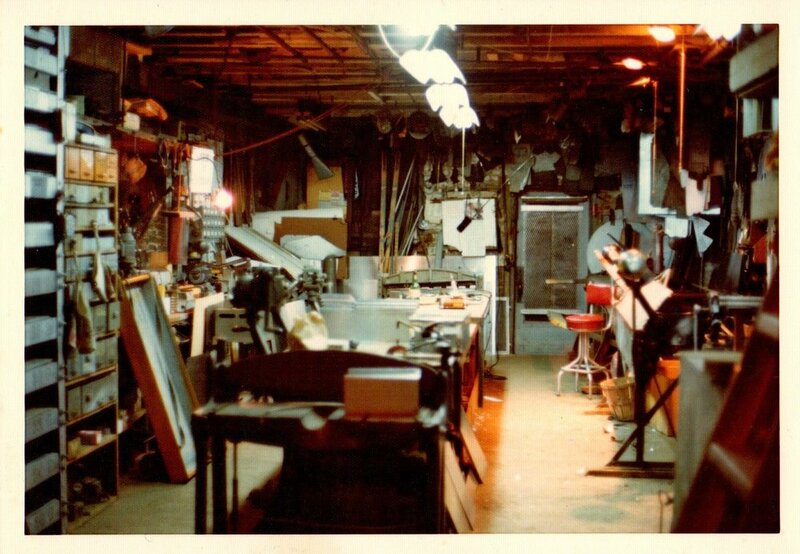 IN FACT, HE DID A LOT OF WORK WITH THE GARNERVILLE ARTS COMPLEX, WITH WHOM WE STILL WORK TODAY AS WHK! WHILE THE COMPANY WAS DISBANDED IN THE MID 1990s AS BIG AL's HEALTH DECLINED, HIS LEGACY LIVES ON! CH-CH-CH-CH-CHECK IT OUT! WHAT'S WHK ALL ABOUT?! WHK HAS INCREASED IT'S INTERNET PRESENCE THREEFOLD! THAT'S RIGHT, WE'RE NOW ON INSTAGRAM, FACEBOOK AND TWITTER. OVER THE PAST FEW YEARS WE'VE WATCHED AND PARTICIPATED AS THE TAPPAN ZEE BRIDGE WAS BEING BUILT. IT'S BEEN SUCH AN HONOR TO BE INVOLVED IN A PROJECT THAT WE CAN SHOW OUR FAMILIES FOR YEARS TO COME. WHAT'S MORE, IS THAT THE PROJECT IS HAPPENING ON TIME, ON BUDGET, AND MEETING SUPPLIER DIVERSITY GOALS!!! CHECK OUT THIS WONDERFUL ARTICLE IN THE NEW YORK TIMES ABOUT THE PROJECT. IS THERE ANY CAR MORE ICONIC THAN A JAGUAR XKE? IF SO, WE DON'T KNOW IT! A NEW CLIENT ROLLED UP IN THIS BEAUTY NEEDING A CUSTOM STAINLESS STEEL GAS CAN TO HOLD HIGH GRADE RACING PETROL. WE GLADLY WORKED SOMETHING UP FOR HIM. ENJOY THE RIDE! AND AS ALWAYS, WE LOVE A FUN PROJECT! THERE'S NO PLACE IN THE WORLD LIKE NEW YORK CITY AND WE'RE EXCITED TO ANNOUNCE THAT WE'LL BE WORKING ON A PROJECT IN THE HEART OF IT ALL! EMPIRE CONSTRUCTION HAS HIRED WHK TO REPLACE THE HANDRAILS AT NONE OTHER THAN 34TH STREET, HERALD SQUARE STATION. HANNAH HANCOCK RUBINSKY, OUR FAVORITE BARTENDER AT INDUSTRIAL ARTS BREWING COMPANY (SORRY NICK!) IS WORKING ON FILM PROJECT, SPLIT. IT'S ABOUT THE DIFFERENT LIFE PATHS A PERSON COULD TAKE. AS A CROWDFUNDING GIF(T) (SEE WHAT WE DID THERE?! ), THIS WAS CREATED! WHILE IT'S NOT QUITE IRONWORK, WE THOUGHT IT WAS INTERESTING TO HIGHLIGHT THE DIFFERENT ROLES ENTREPRENEURS CAN PLAY, ALL IN THE SAME DAY! LAST NIGHT OUR PRESIDENT, ELLIE KASSNER, HAD THE PLEASURE OF ADDRESSING THE EIGHTH COHORT GRADUATES OF THE STRATEGIC STEPS FOR GROWTH PROGRAM RUN BY NYC SMALL BUSINESS SERVICES AND NYU. GRADUATES SUCH AS HEATHER AMAN OF AMAN ARCHITECTS, AND JENNIFER ANDREWS OF MASTERWORK PLAQUES, INC. DEDICATED THEMSELVES TO THE COURSEWORK AND ARE SO FULL OF PROMISE. CONGRATULATIONS TO THE GROUP AND BEST OF LUCK MOVING FORWARD! AN IRONWORKER WALKS INTO THE UNITED NATIONS... FOR REAL! ON MARCH 29TH, ELLIE KASSNER SAT ON A PANEL ENTITLED "LEVELING THE PAYING FIELD" ON BEHALF OF WENYC. SPONSORED BY THE COUNTRIES OF PANAMA AND DENMARK, THE PANEL SHARED THE REAL LIFE CHALLENGES AND SUCCESSES OF BEING A WOMAN ENTREPRENEUR IN TODAY'S WORLD. NEEDLESS TO SAY, IT WAS A TRUE HONOR AND AN AMAZING OPPORTUNITY. ALL EVENT PHOTOS ARE AVAILABLE HERE. IN 2016, W.H. 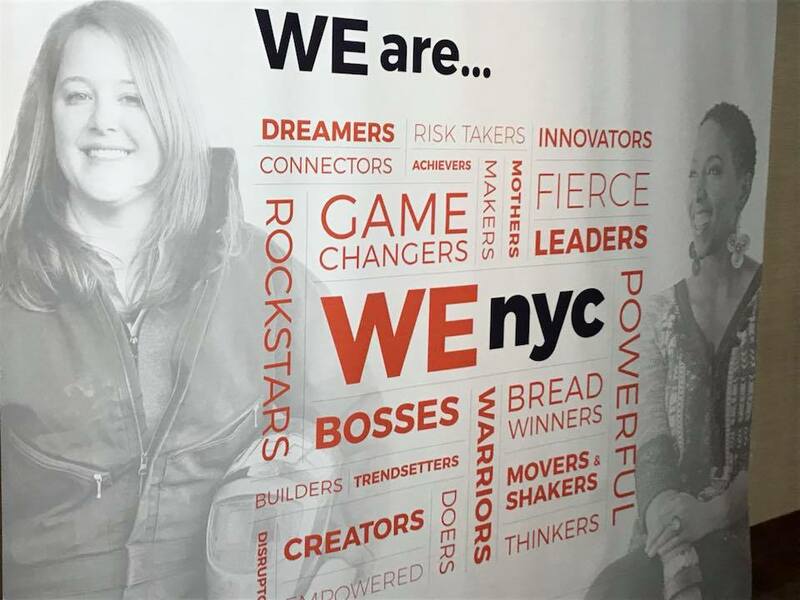 KASSNER, INC.'S PRESIDENT, ELLIE KASSNER, WAS PROUD TO PROVIDE ASSISTANCE TO FELLOW WOMEN ENTREPRENEURS THROUGH THE PILOT PROGRAM OF WENYC. WE'RE PROUD TO ANNOUNCE THAT IN 2017, ELLIE WILL CONTINUE ON WITH THE PROGRAM THAT HAS TOUCHED THE LIVES OF SO MANY WOMEN ENTREPRENEURS. AS A MENTOR, ELLIE PROVIDES OFFICE HOURS AND ATTENDS MANY WENYC EVENTS HOSTED BY NYC SMALL BUSINESS SERVICES TO MEET AND GUIDE FELLOW MWBEs. MOST RECENTLY, ELLIE SAT ON A PANEL DISCUSSING THE BENEFITS OF BECOMING MWBE CERTIFIED AT THE BROOKLYN HISTORICAL SOCIETY HOSTED BY THE NEW YORK CITY MAYOR'S OFFICE. AN ENRICHING CONVERSATION WAS HAD WITH FELLOW PANEL MEMBERS INCLUDED, MALENE BARNETT (MALENE B. ), ELIZABETH VELEZ (VELEZ ORGANIZATION), AND JEAN KRISTENSEN (J. KRISTENSEN ASSOCIATES).